Home » Our Doctors » Douglas M. Osborne, O.D., F.A.A.O. 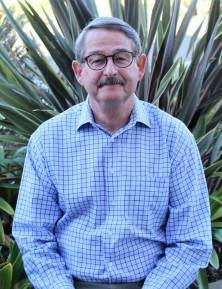 Dr. Osborne is a graduate of UCLA, where he studied and received a Bachelor’s of Science in Zoology. He attended the Southern California College of Optometry and received his degree of Doctor of Optometry in 1978. He has been in private practice for over 25 years. He is a member of the American Optometric Association, California Optometric Association, San Diego County Optometric Society, and American Academy of Optometry. He is involved in Sight for Students, VSP and is a Past President of the Board of Directors for the San Diego County Optometric Society. Dr. Osborne and his wife Leslie have four children and two grandsons. He attends North Coast Church here in central Vista and enjoys jeeping and camping.